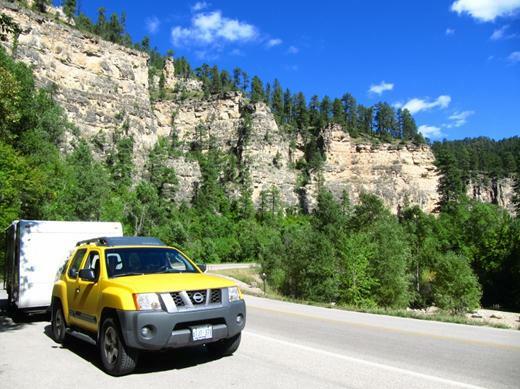 From Glacier National Park in Montana we headed South East towards the Black Hills of South Dakota. There’s a lot to see on the way! 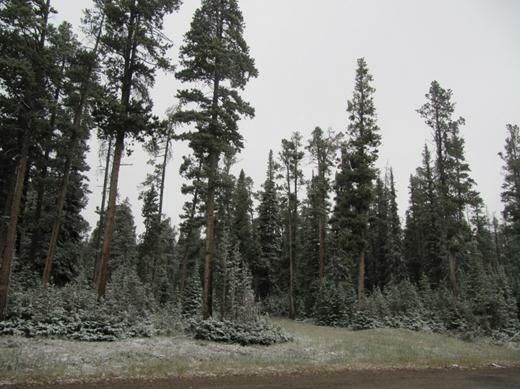 The scenic route took us through the Lewis & Clark National Forest where a dusting of snow covered the trees. That’s right – snow – in September! Several people told us that this part of Montana was a boring drive. No way! 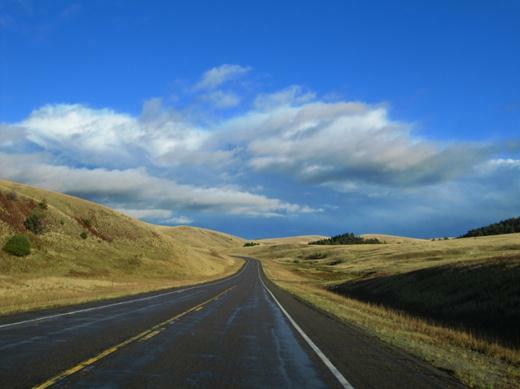 Long vistas, open roads, and yellow grasses – now that’s just amazing! 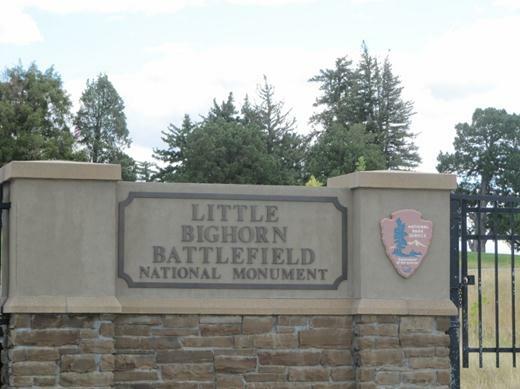 We stopped by Little Bighorn Battlefield National Monument on our way. 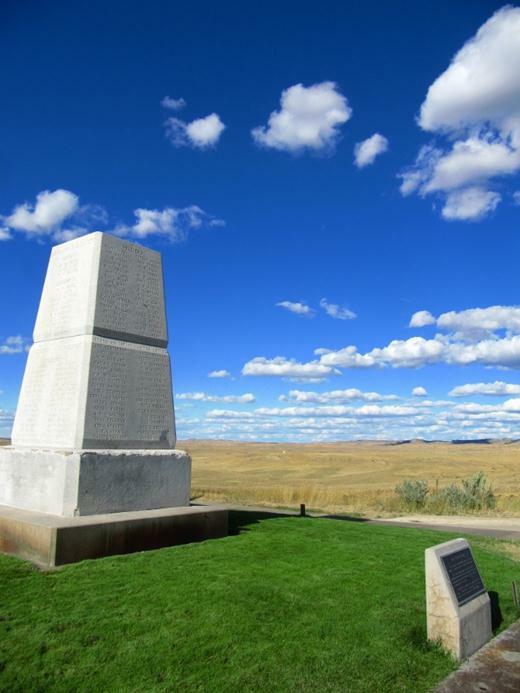 This is where Custer’s famous last stand occurred. The fields are peppered with white grave markers – each marking where someone fell in battle. 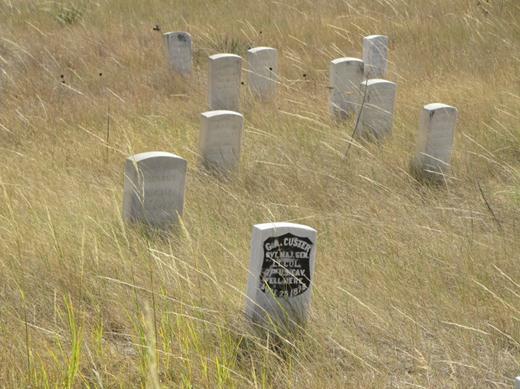 Custer’s marker is the only one with a black background. In the shadow of this memorial to the battle, Ranger Steve Adelson gave the best ranger talk we ever experienced. 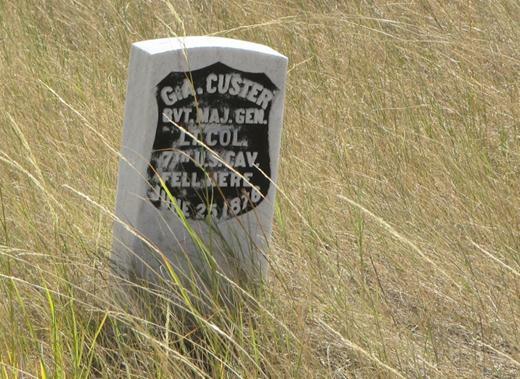 He laid out the myths versus reality of Custer’s Last Stand in an objective way. 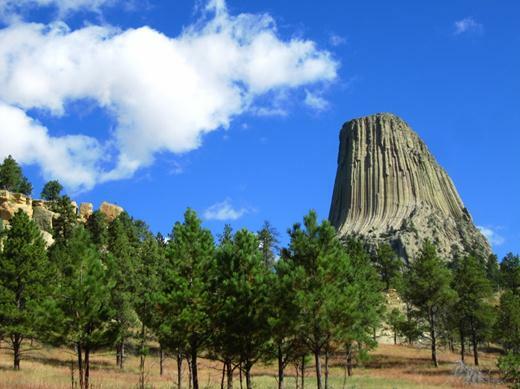 Next up – Devil’s Tower National Monument – made famous by the movie Close Encounters of the 3rd Kind. From a distance it’s hard to believe that the tower is over 1,000 feet high. 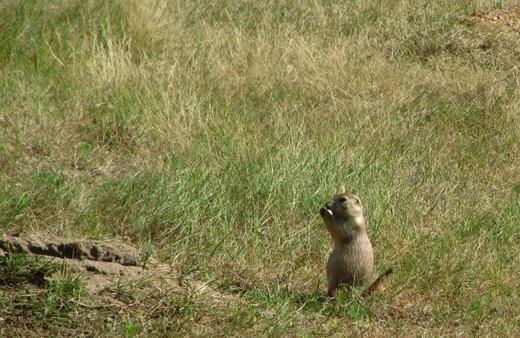 Closer to the ground were tons of Prairie Dogs chirping in code to each other about the nasty human menace driving by! 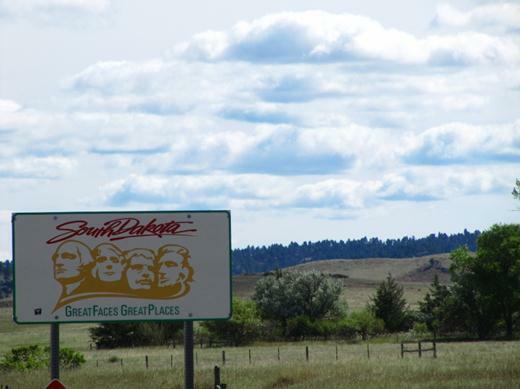 Ahh, South Dakota – finally arrived! 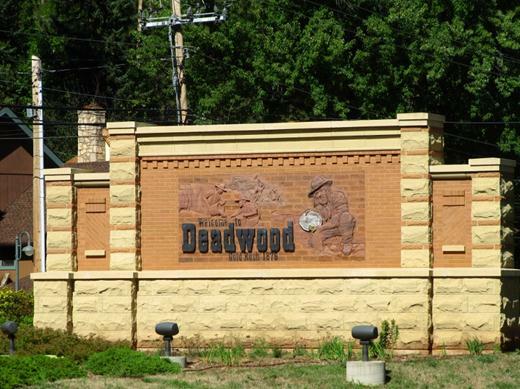 …Deadwood! We just loved the HBO show by the same name so we had to stop by! The lure of gold attracted tons of prospectors in the 1870s – including Wild Bill Hickok. We just had to stop by Saloon #10 (where Wild Bill was gunned down). 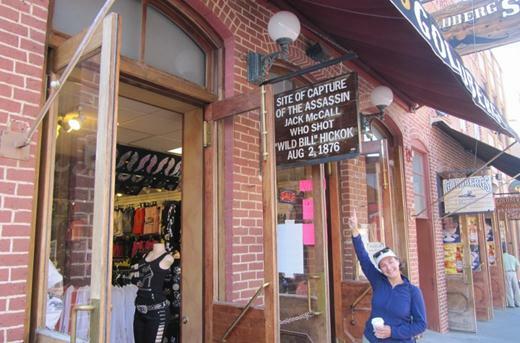 And this is where Wild Bill’s Assassin was captured! We even gambled at the GEM Saloon! 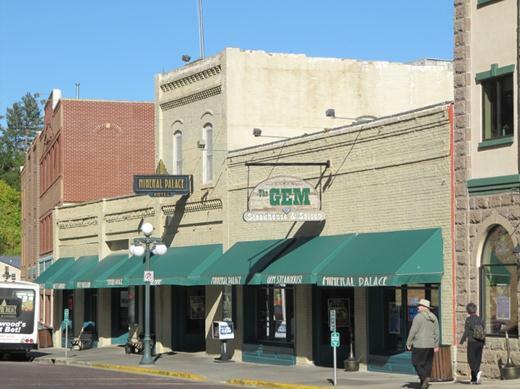 Next up…more fun in the Black Hills!